Come stand on the sidelines of the iconic Rose Bowl Parade! 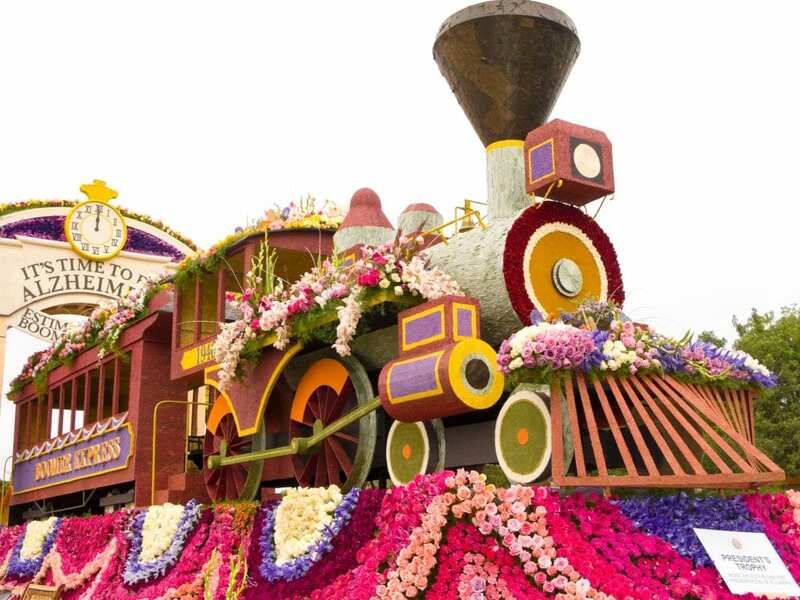 The 130th Rose Parade takes place on January 1, 2019 from 8AM-12PM in Pasadena, California. This traditional New Year’s Day parade will feature floral-decorated floats, marching bands, and equestrian units parading down a grand 5.5 mile stretch. The event starts at Orange Grove Boulevard and proceeds down Colorado Boulevard. People from all over will line the sides of the street to get a view of the celebration. The 2019 Rose Parade theme will be “The Melody of Life” to celebrate music – the universal language. Every year, over 935 volunteer members of the Tournament of Roses Association contribute more than 80,000 hours of service combined to ensure success of the Rose Bowl Game and the Rose Parade. When the parade is over, you’re invited to a showcase of the floats where you can see the masterpieces again up close to see the design and workmanship that went into each float entry. You can even learn about the process of making each float from the tournament volunteers. Come view this famous New Year’s celebration in person where you can stand feet away from the magnificent parade for an unforgettable experience. We have rooms available for out of town guests so you don’t have to miss out!